Fishing in the wind can always be used to your advantage if you know how to position your boat. The wind can be your ally because it activates bass into biting, but it can become a deterrent if you fail to position your boat properly. Whether you are fishing in a gale or a steady breeze, you can maneuver your boat into a position to take advantage of the wind. 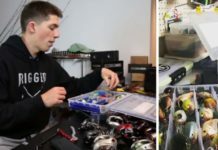 Determining where bass will be positioned based on the wind direction will help you keep your boat in casting range without getting too close and spooking the fish with your boat. When the wind blows from any direction at nearly any speed, you can still position your boat to take advantage of the wind. 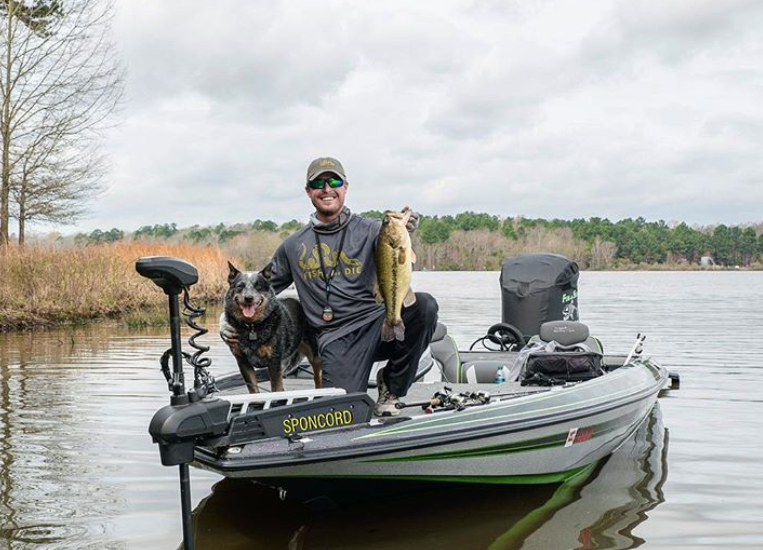 Even in gale conditions, you need to stay in the wind or find a protected area to park your boat because bass will be biting. 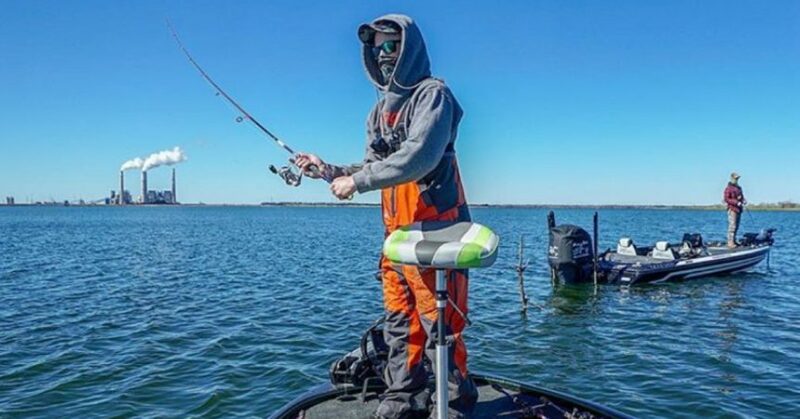 Here’s a look at four ways you can position your boat to key catch bass on windy days. Nosing your boat into the wind works best in most situations, especially if you are keying on specific targets. That’s when you want to have the utmost boat control, which you can achieve by running your trolling motorinto the wind. If you are keying on a laydown or other visible cover, move your boat up to the target on the downwind side. Make sure not to move up too fast to the cover so that you get too close to it and have to backwash with your trolling motor. That will spook the fish. By fishing downwind from the target if you catch a fish the wind will blow you away from the cover rather than right on top of it. Then you can move back upwind to catch another fish. Heading with the wind when fishing open water on blustery days, you can point your boat in the same direction as the wind to cover water quickly. You can use fast-moving lures such as crankbaits and spinnerbaits to throw down a windy bank and drift with the wind. 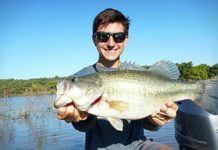 The only time you will need your trolling motor is when your boat drifts too close or too far away from the bank or if you want to slow down the drift of your boat. You can even pitch heavy jigs into bushes while keeping your boat a safe distance from the cover. If the wind pushes you too close to the cover, you can swing your boat away from the target and circle around to pitch to it again. 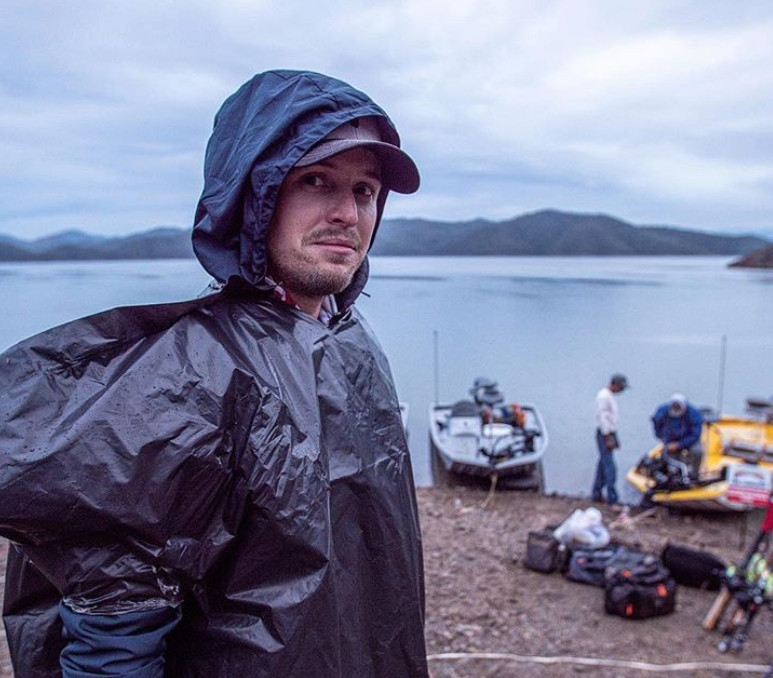 Sometimes fishing in a crosswind requires you to position your boat at a certain angle If you are fishing structure such as channel breaks, ledges or weedlines, you might have to position your boat a certain way no matter which direction the wind is blowing. When the structure you are fishing runs in a crosswind direction, you should continue to follow the contour of the structure and ignore the wind direction. If you are fishing a drop-off, move your boat onto the lip of the drop and cast parallel to the lip. Whether you are fishing ledges, breaklines or weedlines, move your boat close to the edges where you can cast parallel to the structure and try to hold your boat against the crosswind. There are going to be days when it is so windy you have to search for a calmer area where you can still fish effectively. The key is to move your boat out of the wind but still have it close to the turbulence. 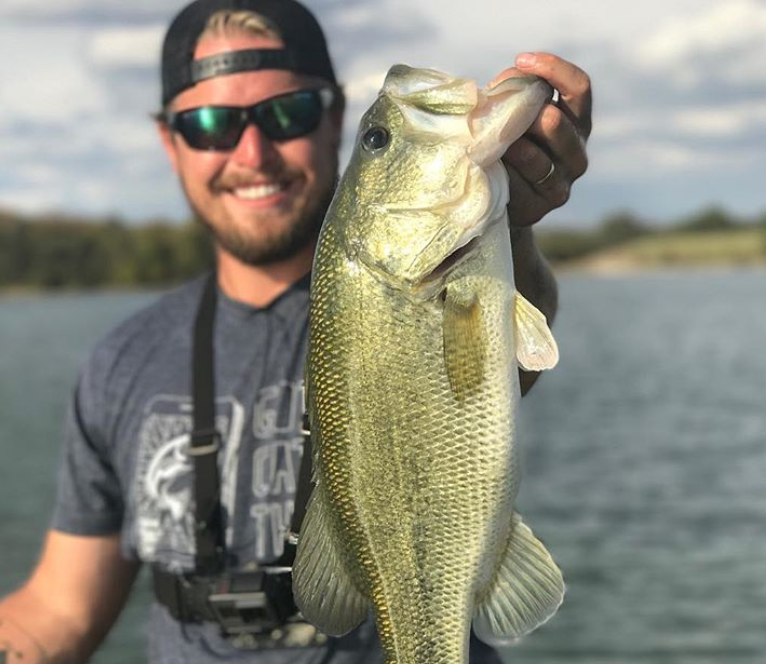 Howling gusts can drive anglers off flat reservoirs, but you can still find areas to catch bass even on the blustery days. Look for points where wind is crashing on one side but the inside of the point has calmer water. You can position your boat on the sheltered side of the point and cast into the choppy water breaking around the corner of the structure. That is a classic spot for a bass to sit and ambush any baitfish being swept into it by the waves. Eddies on the downwind side of the point are another hotspot to try for bass. The fish will congregate in any area whey they can find a calmer spot to sit in ambush and rely on the current to wash food in front of them. Grassbeds can also serve as wind breaks and a buffet area for bass. Fish the lee side of the cover because bait will be blown into the grass. 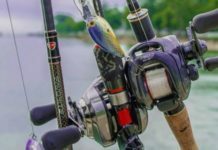 Positioning your boat on the protected side of the grass allows you to cast into the calmer waters and retrieve your lures along weed pockets and points without being hampered by the wind.